Both large and small businesses are faced with a wide variety of choices and options when it comes to finding a web hosting solution for their website, company email and data. One option is shared hosting, in which a single server’s resources are shared by a number of different websites and users. However, if you’re looking for more power, control, and flexibility, the solution for you may be a dedicated server. 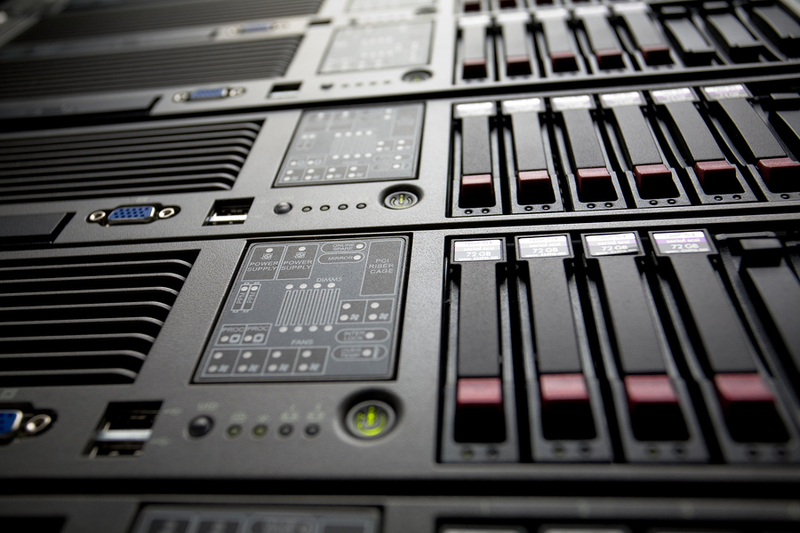 With a dedicated server, you and your business have exclusive use of that server’s resources. 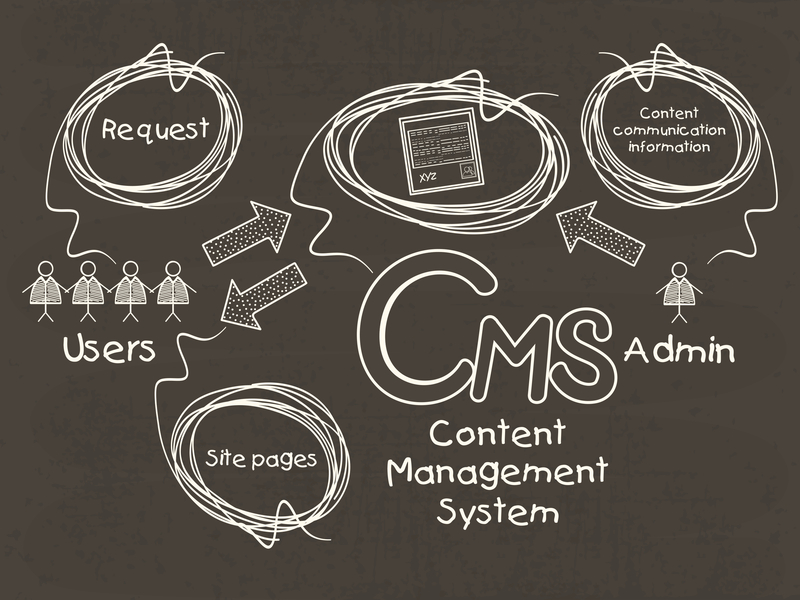 You also have the flexibility of customizing the server’s CPU, RAM, and disk space based on the needs of your website and business. 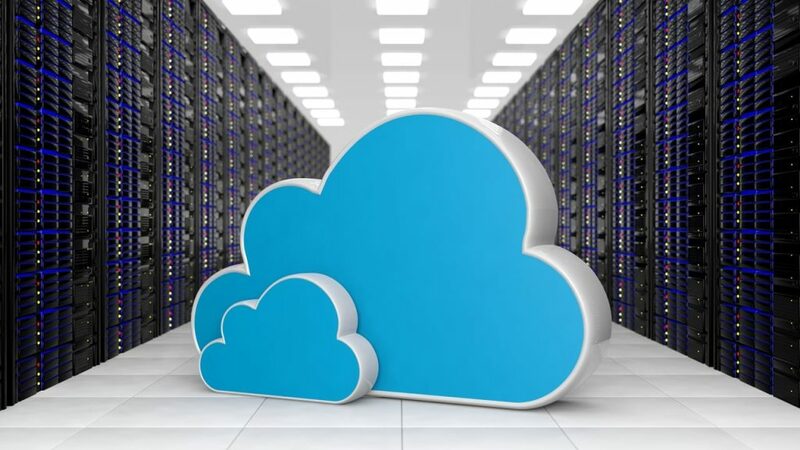 Now if you’re worried that you’re not tech savvy enough to run your own dedicated server, consider the option of going with a Managed Dedicated Server solution, which will provide many additional benefits on top of what’s listed above. Also if cost is a concern, check out TurnKey Internet’s ‘Best Value’ Dedicated Servers. There are countless other advantages to using a dedicated server, however the 4 above are some of the most notable. 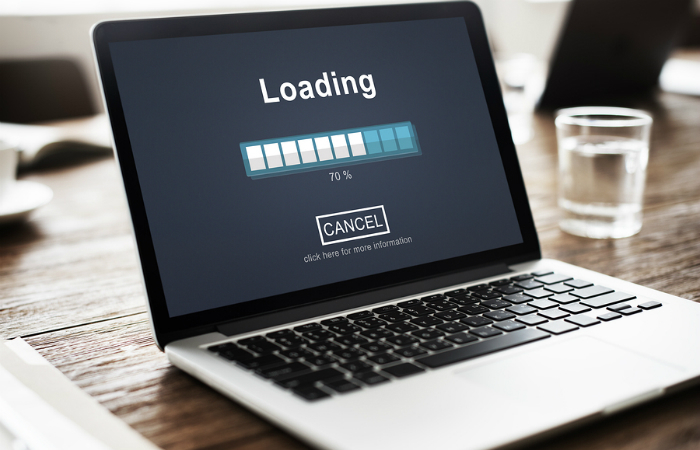 So before you decide to host your website on a shared server, consider the added flexibility, reliability, and performance that only a dedicated server can provide. If you are like other business owners and managers, you are looking for a way to grow your business and expand your reach to the next level. While you can use many methods to obtain your goal, having a high-quality, trusted website is one of the top ways to achieve impressive results. Your customers will instantly view you as an expert if you have the proper elements on your site, and they will feel excited to buy your products or services as a result. 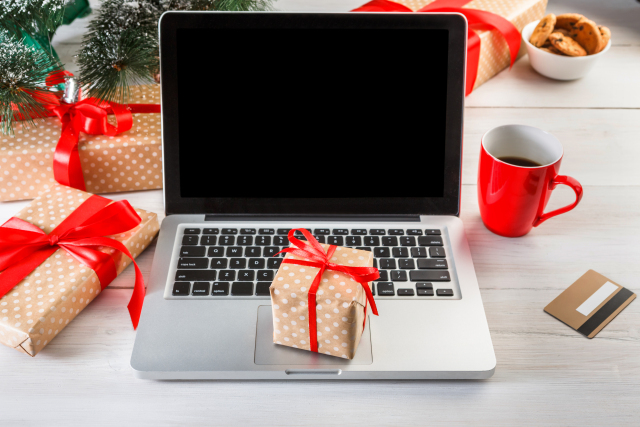 Building a website that has a positive impact on your audience will take some time and effort, but you will enjoy the rewards for years to come as long as you follow the right process. You can track your progress to see the difference that a compelling website can have on your bottom line, and the following guide will point you down the correct path. Your reputation is one of the most important factors when it comes to attracting and retaining loyal customers. Before you try to impress people with your accomplishments, get to know your audience and the factors to which they are the most likely to respond. If your company has been serving customers for many years, including that fact in your sales page can increase your reputation in no time. Having a large number of followers on Facebook, Twitter and other social sites will also play a role in the amount of trust that you can earn from your potential customers. When people see that others are interested in you and what you have to offer, they will not hesitate to buy from you. Advertisers from around the world place ads online, on the side of the road, in newspapers, on television and on the radio. No matter where you go or what you do, you will find someone trying to sell a product or service, so you will need a way to make your business stand out from the rest. Anyone can promise that their product or service will solve problems and make people’s lives a little easier, but adding testimonials to your website will grab attention and inspire people to believe in your product or service. Sprinkle your testimonials throughout your sales page if you want to get a positive response from your prospects. If you would like to enhance your results, try including a picture of your customers in their testimonials. 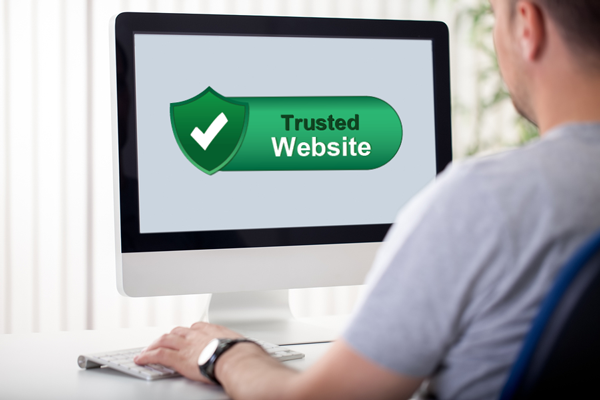 If you would like to make your website as trustworthy as possible, overlooking the importance of the Better Business Bureau, or BBB, is a mistake that you won’t want to repeat. The BBB is a trusted company that helps connect consumers with businesses that adhere to certain leadership and customer service standards. If a company registers with the BBB and follows the code of conduct, it can place the BBB badge on its website or sales page. Becoming a member of the BBB and displaying the badge on your content will add a touch of credibility. Businesses that maintain the highest standards will be eligible to receive awards that will help them leave a lasting impression on their web visitors. Stories of cybercrime are becoming increasingly common, and your customers want to know that they are in good hands. When a criminal gains access to the personal data of your customers, the criminal can steal their identity and make their lives much more difficult. When you send information over the internet, it’s easier than you would think for criminals to intercept it, and not having a secure website will turn a lot of potential customers away. Overcoming that issue is simple when you use secured sockets layers, or SSL, to safeguard your website. When you do so, the software will encrypt every piece of information that people submit to your site, making it impossible for criminals to read. People do not always trust advertisements that they see online because they know that the marketers are trying to obtain their money. Although the right ad campaign can improve your profitability, using search engine optimization will increase your effectiveness. People know that Google wants to provide relevant and useful content to its users, so they will be much more likely to trust content that appears on the organic search results. When you use SEO to rank your content on the No. 1 page of Google, you will be surprised by the outcome. If you have followed the other steps in this guide, you are already moving in the right direction, but testimonials and BBB awards can only get you so far. If you would like to get the most from your effort, consider the benefits of offering free trials. As long as you remain dedicated to quality, those who use your free trials will want to buy the full version of your product or service. Since people will judge the value of your other products on the reliability of your free trial, put your best foot forward. Ensuring that your website is professional will work wonders when it comes to getting your prospects to like and trust you. A clean design, simple navigation and attractive layout are just a few of the components of a professional website. You will also want to use well-written content that engages your audience and is free of spelling errors. Using an optimized code that loads fast will also help you build a professional image with your website, and you will impress your prospects along the way. When you have a professional and captivating website, your potential customers will know that you care about your business and reputation. The look and feel of your website will determine how much trust and respect you can build with your prospects, and you can’t afford to cut corners. Each step that you take to inspire people to view you in a positive light can enhance your conversion rate and help you increase your earning potential. When you put these tips into action and see what they can do for your business, you will know that you have made a smart choice. RAID has several implementations — or “levels” — that utilize striping, mirroring, parity or a combination of the three. We’ll explain those more fully later in the article, but for now there’s one thing you need to know: If you have a home or business server, you need RAID. RAID is the one solution that can make your server faster, do a better job of protecting your data and continue operating while you rebuild data after disk failure. A RAID 0 array requires at least two hard drives. In RAID 0, the controller splits all data equally across all hard drives. Each drive works simultaneously during read and write operations, increasing the speed of the volume to far greater than that of a single hard drive. 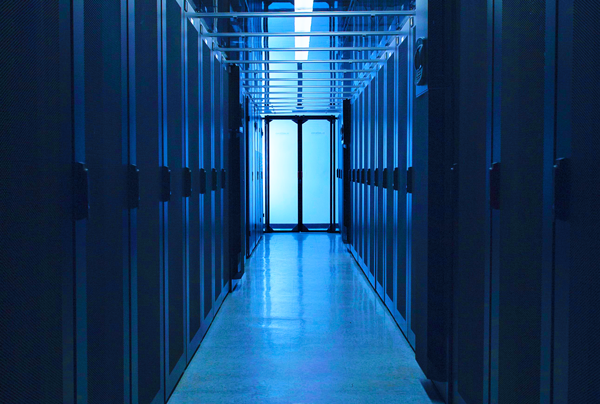 Strengths and Weaknesses: A RAID 0 array excels in increasing a server’s storage performance. However, all data in a RAID 0 array is lost if one drive fails. You can add additional drives to a RAID 0 array to increase its performance further, but adding more drives further increases the risk of failure. In a RAID 1 array, every hard drive contains the same data and the controller writes to all drives simultaneously. A RAID 1 array provides excellent data redundancy because all of the data survives unless every drive in the array fails. Strengths and Weaknesses: In addition to data redundancy, RAID 1 can slightly increase a server’s read performance. When the controller requests data, the drive that can access the data most quickly will retrieve it. However, RAID 1 provides no increase in storage capacity past that of the smallest hard drive in the array because each drive contains the same data. In addition, the slowest hard drive determines the write speed of the entire array. A RAID 5 array stripes the data across multiple drives like RAID 0. However, every hard drive also carries parity data for each block written. Using the parity data, the controller can rebuild the entire array if one drive fails — and the array can continue working during the rebuild process. Strengths and Weaknesses: The greatest strength of RAID 5 is that it offers increased reliability without sacrificing a great deal of storage capacity. Unlike RAID 1, the total capacity of a RAID 5 array increases each time you add a hard drive. However, parity data does take up some space. A RAID 5 array with four 1 TB hard drives will have a total capacity of about 3 TB. RAID 5 offers better read performance than a single drive because the striping allows multiple drives to read simultaneously. However, the write performance of RAID 5 is relatively poor because of the extra time required to write parity data. RAID 6 is similar to RAID 5 in design, but it devotes an amount of storage equal to that of two hard drives — rather than one — to parity so it can tolerate the failure of two drives without losing data. Strengths and Weaknesses: A RAID 5 array can tolerate the loss of any one drive. However, hard drive manufacturers state that about once every 12.5 TB, a hard drive will encounter an unrecoverable read error. If you have a RAID 5 array with four 4 TB drives and one drive fails, the remaining capacity of the array is about 12 TB. If one of the remaining three drives experiences a read error when rebuilding the array, the rebuild operation will fail. If you use more hard drives — or larger hard drives — the chance of failure is greater. So, RAID 6 is far more reliable than RAID 5 for very large RAID arrays. However, because RAID 6 doubles the amount of parity data, write operations are slower. RAID 10, or RAID 1+0, is essentially the combination of RAID 1 and RAID 0. It combines disk striping and disk mirroring to provide redundancy and performance. Due to it’s incredible performance benefits, RAID 10 is one of the most ideal solutions, especially for intense applications and databases. Strengths and Weaknesses: The greatest strength of RAID 10 is that it offers maximum performance while also maintaining redundancy. The only disadvantages of RAID 10 are that it requires a minimum of four disks and only 50% of the disk space is usable due to mirroring. RAID has become a vital necessity for any business looking for safety and performance when it comes to their website and/or critical company data. 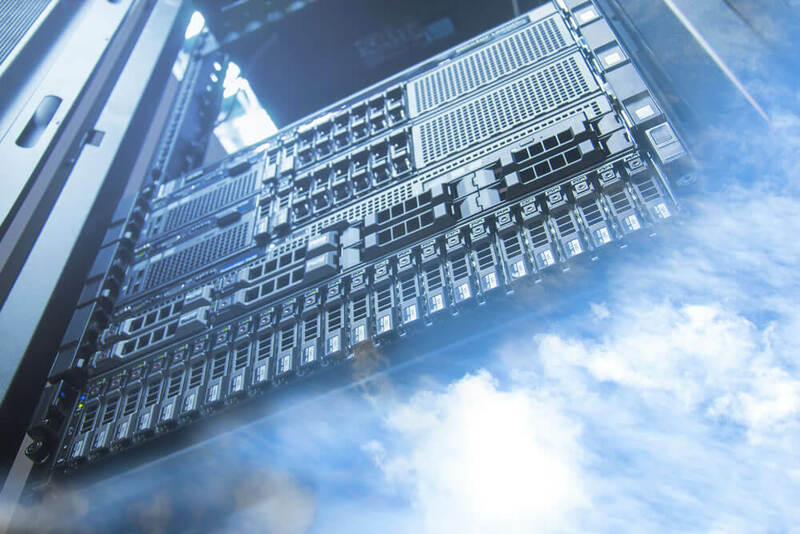 If your business is currently running on a server without RAID, you risk not only data loss, but also the added performance that can separate you from your competitors. Now is the time to upgrade your business to a RAID solution. At TurnKey Internet, RAID upgrades are available on all of our Dedicated Servers. 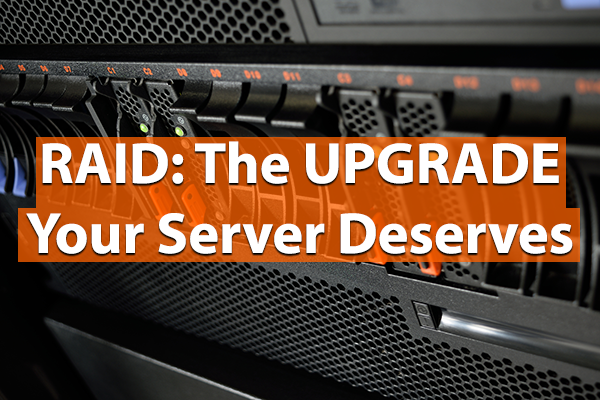 Best of all, our latest Best Value Dedicated Server already includes RAID 10, making your upgrade even easier! Start enjoying the added performance and safety of RAID today.